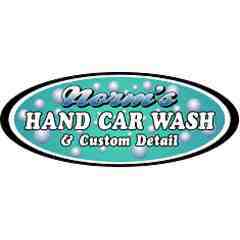 Certificiate good for one COMPLETE DETAIL on your car from Norm's Hand Car Wash & Detail in Wilmette. A commercial shipping charge may be applied. Valued at $245 for a regular sized car or $295 for an oversized vehicle - certificate is good for either. Certificate expires October 28, 2018. Norm's is located at 1222 Washington Court, Wilmette, IL 60091.